The 2013 renewal of the Tattersalls February Sale saw turnover, and median both rise, whilst the clearance rate of 78% represented the second best since the February Sale began in 2000. A total of 190 lots were sold for a total of 1,747,600 guineas at an average of 9,198 guineas and a median of 5,000 guineas, the latter representing a rise of 43%. The top price during the one-day sale was 100,000 guineas for DIARA ANGEL, the six-year-old mare carrying a HIGH CHAPARRAL three-parts-sibling to the G1 Breeders’ Cup Juvenile winner WROTE. Catalogued as lot 111, the daughter of HAWK WING was consigned by Voute Sales on behalf of Sean Conway and despite fierce resistance from agent Cathy Grassick and Ibrahim Araci’s racing manager Rob Speers, it was Oak Grove Stud’s Tim Lane who signed for the mare. "She is for the farm, the boss is at home," said Lane. "We don't know what she is carrying, but she is from a great family and is a young mare. "She was on the list and we liked her when we saw her - she is a neat mare. We had a go on a few in December and didn't manage to buy them so it is good to have bought now." DIARA ANGEL joins the 25-strong broodmare band at Oak Grove, also the home to the stallion AVONBRIDGE. "We have no covering plans for this mare," added Lane. "We'll see what she gets and take it from there." Early in the day SackvilleDonald’s Ed Sackville went to 70,000 guineas to secure the four-year-old SAKHEE filly CAPHENE from a classic Hesmonds Stud family at the expense of Emerald Bloodstock’s Peter Kelly. The daughter of the Group 2 winning CLAXON is also a half-sister to the Grade 3 winner CASSYDORA and the Listed-winning filly CLASSIC REMARK. "She's been bought for an existing client, and will be well covered," said Sackville. "She is from a superb female family, that is still very active," he added. A consignment from Prince Khalid Abdullah’s Juddmonte Farms has been part of the Tattersalls February Sale since 2002, and this year’s draft of twelve reaped a total of 188,200 guineas headlined by the fillies CONSIDERATE and BIT BY BIT who realised 62,000 guineas and 50,000 guineas respectively. The three-year-old DANSILI filly CONSIDERATE is out of the Listed winner, Group placed SADLER’S WELLS mare CONCENTRIC and was knocked down to Broadhurst Agency’s Laurent Benoit for 62,000 guineas after he saw off Cathy Grassick and Charlie Gordon-Watson. "Considerate goes to France and will be covered in the next few weeks," said Benoit. 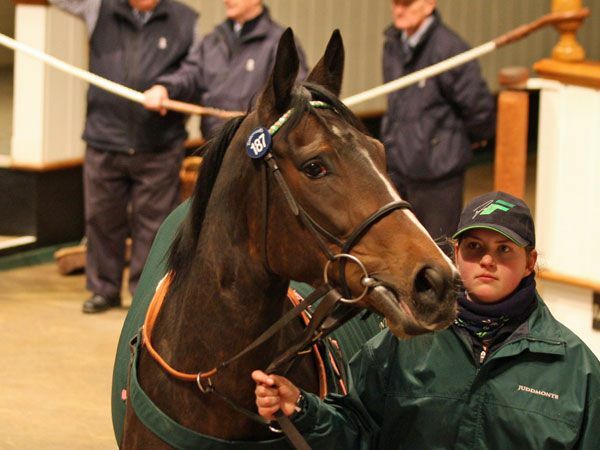 "She is a nice cross being a Dansili daughter out of Sadler's Wells mare." BIT BY BIT, the daughter of RAIL LINK out of the LINAMIX mare LIXIAN boasted Listed form following a placing in the Prix de Thiberville at Longchamp, was knocked down to BBA Ireland’s Eamonn Reilly for 50,000 guineas on behalf of Colin Bryce’s Laundry Cottage Stud. Following her purchase he explained, "We sold AP Easy earlier today quite well and have now bought again - we're shuffling the pack really and investing in some younger mares. "Bit By Bit has Listed form and been bought to visit to Lawman - she is out of a Linamix mare just like Most Improved." 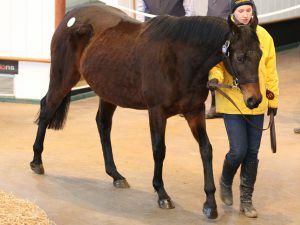 "The February Sale may be a relatively new addition to the Tattersalls sales calendar, but it has always attracted plenty of buyers and this year's renewal has been no exception. Buyers from every continent in the world have been active at today's sale, all contributing to figures which have surpassed or matched last year's in all the key indicators of aggregate, average, median and clearance rate. 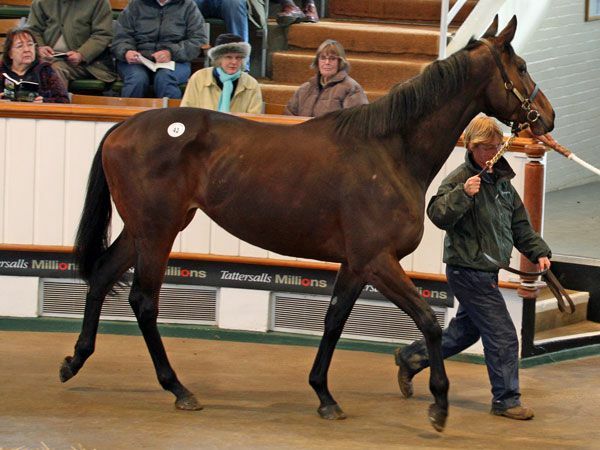 "The common theme running through all Tattersalls sales is the enduring global demand for quality and this has been very evident today, but it is equally crucial at mixed sales of this nature to attract buyers at all levels of the market and the Tattersalls February Sale consistently succeeds in doing so. High class consignments from many of the world's leading owner/breeders have proved as popular as ever, as has the TBA Stallion Parade, and today's sale has continued the momentum from the successful 2012 Tattersalls sales season." 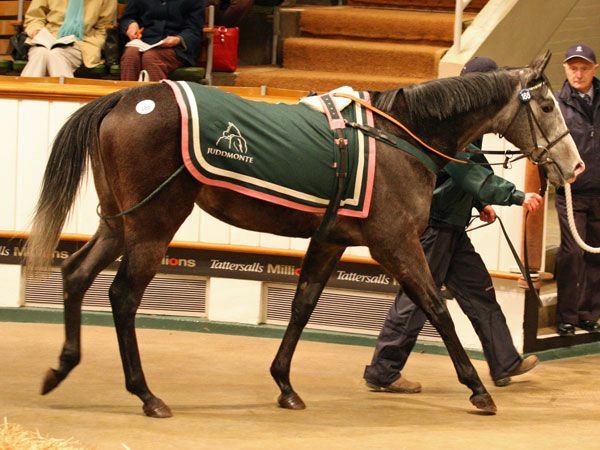 The next sale at Tattersalls is the Craven Breeze Up Sale on April 16 - 18.